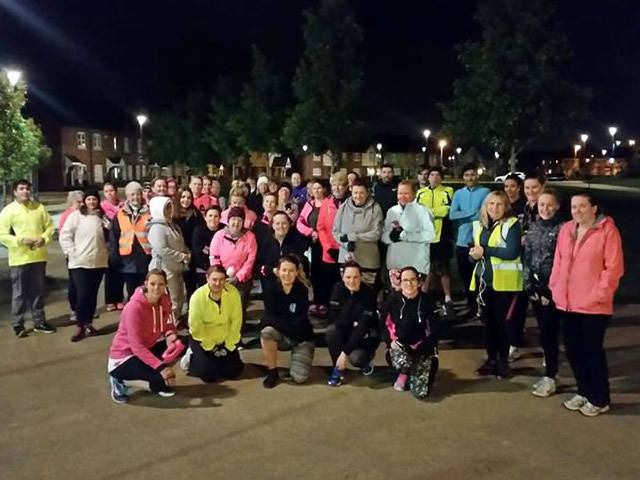 Run Kingswood Run has been created for those residents in Kingswood who enjoy running and may be looking for other fellow runners. It is also for people to get active, start running and lead healthier lifestyles. It is a great place for you to find other people who may live near you, have a similar goal or running ability or to help you find a running buddy /partner. It will help those lone runners who would quite like the company and encouragement. Here are some important points to read before our first run and all future meets. The group has no committee at this stage and no official status as a voluntary group or club. The group has not been affiliated to England Athletics, Run England or any official body as of yet. If you run you are responsible for your own safety, well being and health. Any injuries or accidents which require medical attention, you will need to accept responsibility for the situation. No public liability or insurance is attached to this group. The group has been set up to encourage people in Kingswood to get active, start running and help find others to run with. The main reasons were for social and leisure purposes. The group does not have a dedicated first aider, planned routes or group leaders for running at this stage. The group cannot be responsible for any children under the age of 18. If you bring children with you, you must be responsible for them. Any runners under 18 must have parental consent to join in with the running. Any pictures taken will appear on the Run Kingswood Run Facebook group and if you post on your own personal Facebook page please be aware of the data protection /permission policies etc. The group does not have any fees or costs at this time and is only just starting out. If you decide to run with the group, you run at your own risk, pace and can come and go as you please. The group will be open to all who want to run for health reasons, social benefits and to increase fitness levels. If you have anything you feel you need to add or clarify please feel free to comment below. Thank you for your support. If you have experience of running clubs, expertise in these areas then please get in touch.